Prescott real estate experts, Klein Properties & Investments provides their clients with uparalled service and industry knowledge. Local to Prescott since 1979, they have been one of the Top Real Estate Teams in Northern Arizona for the last 14 years. 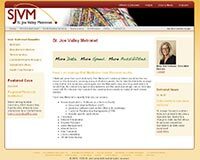 Selling thousands of homes for top value in all markets, they have earned a unique understanding of Prescott Area real estate. Along with their buyers and sellers guarantee, Klein Properties & Investments also offer Conceirge services that include moving services, housekeeping and homerepair. To learn more about the Prescott Real Estate Experts at Klein Properties & Investments, contact them today! 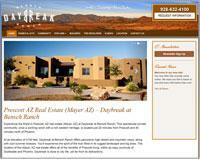 The most exceptional real estate for sale in Prescott, AZ and Mayer, Arizona is found at Daybreak at Bensch Ranch. A private, gated community set on 577 acres in the Bradshaw Mountains, just 20 minutes from Prescott, AZ and 40 minutes north of Phoenix, AZ. Daybreak at Bensch Ranch Offers architectural styles in the community reflect the heritage and character of ranch life in Arizona’s high country. Prized for its temperate weather, access to outdoor adventures and thriving community life with a western flair. Daybreak at Bensch Ranch brings all of these aspects together with thoughtfully planned open spaces that include nature trails and a 15 acre riparian park, along with an elegant western clubhouse, pool and recreational facilities. To learn more about land for sale in Prescott AZ – Mayer Arizona, contact Daybreak at Bensch Ranch today! 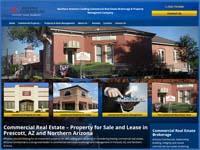 Arizona Commercial is a recognized leader in commercial real estate brokerage and management in Prescott, AZ, and Northern Arizona. Providing investment sales, leasing and commercial property and asset management services to real estate investors and property owners we work with lenders, appraisers, tenants and other brokers, assisting our client’s during commercial real estate transactions. To get started on selling your property or leasing in Prescott, AZ and Northern Arizona, contact Arizona Commercial at (928)776-8460. Perfect Renters is a network that we've created to help the property rental industries Landlords and Property Managers significantly by filtering out bad tenants with poor ratings and highlighting good tenants with positive ratings. Perfect Renters allows you to easily create an account and login to leave reviews about past tenants that are either good or bad. In addition you can also screen tenants fully and discretely by searching through honest, unbiased reviews from other landlords and property managers. Positive or negative...the more information you have, the easier it is to make an informed, intelligent decision about renting to a potential tenant. 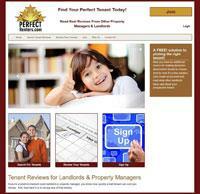 Visit Perfect Renters to get started on filtering out bad tenants and finding good tenants with positive ratings today! HomeSmart Fine Homes and Land Prescott, AZ Realtor, Brian Howell specializes in residential resale and land, his extensive mortgage and new home sales background makes him well-versed in every aspect of the buying and selling process. A Granville specialist, with hundreds of home sales in the Prescott Valley master planned community alone, home staging is another area of Brian’s expertise, and he understands the unmistakable value of making listings look their very best. A licensed as a real estate agent since 1993 and Prescott, Arizona resident since 2005 Brian's dedication to the profession has earned the respect of his Realtor colleagues, as well as title companies, appraisers, tradesmen, and all those within the local real estate community. Thinking of buying or selling your home or land? Contact Brian at (928) 308-5086 to discuss how he can become your Realtor and assist you in making your Prescott area real estate experiences second to none. 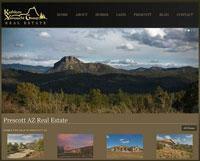 The Kathleen Yamauchi Group is the premier Prescott, AZ Real Estate Company. They provide full-service, boutique real estate service, comprised of highly experienced real estate professionals that specialize in all facets of the real estate marketing process. From homes for sale to land for sale in Prescott Arizona, the Kathleen Yamauchi Group specializes in helping you locate the right property or land for sale at the highest value and right price with one common goal - to make your real estate experience smooth, pleasant and enjoyable. To learn more about Prescott AZ Real Estate, contact the Kathleen Yamauchi Group today! CES Property Management is the largest real estate and property management company providing off-campus student housing at Notre Dame and Saint Mary’s with exclusive luxury town homes that are closest to the campuses. There town homes at Dublin Village, Irish Crossings and Wexford Place; give you the options and price points that best fit your budgets. With over 30 years experience in the real estate and property management business, their renters and owners count on them to provide the best experiences throughout their stay in one of their properties. 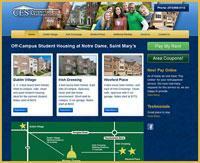 Contact CES Property Management for more information about their Notre Dame Off Campus Housing today! Michianarentals.com is a rental advertising service for South Bend Indiana and the Mishawaka area of Northern Indiana. You can view Homes and Apartments for Rent, Mishawaka apartments for rent, or South Bend apartments for rent. You can also check out the Michiana Area Information which includes Schools, City and Government information and Insurance, just to name a few. Landlords, contact us today for Advertising Information on how to list your vacancy.